Sports personalities: Colonel Jacob Ruppert, owner of the New York Yankees, along with the owners of both the Red Sox and the Braves; Gustavus Kirby, president of the American Olympic Committee; legendary boxers Philadelphia Jack O’Brien, Gunboat Smith, Joe Choynski, Joe Jeannette, Jim Corbett et al. ; and the entire rosters of the Newark and Jersey City baseball team (International League). A sweeping glance at the boxes and the $50 ringside seats of the Jersey City arena presented an animated view of “Who’s Who in America” and the “Social Register” combined, but so numerous were the notables that “being among those present” didn’t seem to count. The significance of this kind of critical mass of rich, powerful and prestigious spectators cannot be underestimated. Never before had the “swells” turned out for a prizefight. 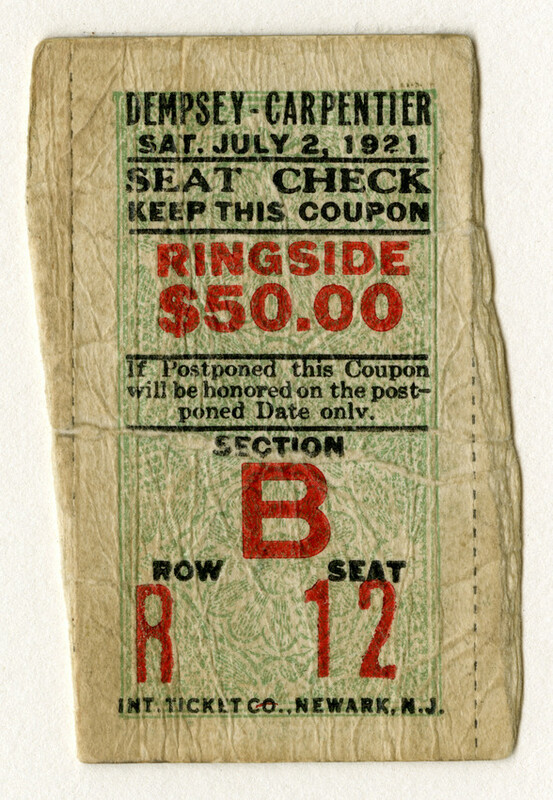 As Roger Kahn says: “If you want to select a date when high-society Americans, well-coiffed, bejeweled superrich Americans came first to embrace sports with a passionate hug, again you come to July 2, 1921.” (231) This blue-chip seal of approval conferred on the entire sport of boxing a respectability and glamour that had been unthinkable just a few months before. The strong showing of interest and support on the part of the upper reaches of American society made it increasingly difficult, if not impossible, to argue against the sport. Indeed, it made being a boxing fan nearly a must for anyone who sought, as so many did in the 1920’s, to be in the swing of things. Boxing became, and would remain for the rest of the decade, every bit as much a “national pastime” as baseball.